SOUTHBRIDGE — It was a dark, rainy night where Janet and Brad had the whole world ahead of them, until a blown tire leads them to a night of terror, confusion and mayhem. Rocky Horror bring us to a time warp that if you’ve never seen before takes you by surprise. 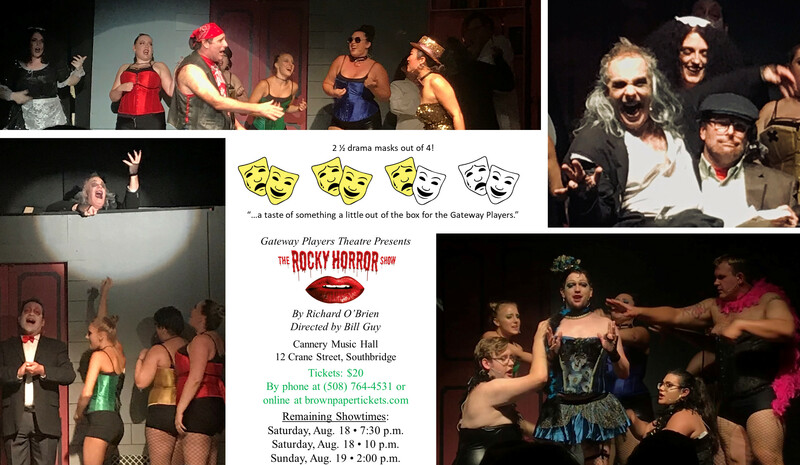 Rocky Horror is being presented by Gateway Players Theatre at The Cannery at 12 Crane Street. Rocky Horror takes place in the castle of Dr. Frank N. Furter and his fellow Transylvanian companions where they experiment on building a new “friend.” Janet and Brad, your everyday, naïve, goody two shoes are welcomed into the castle with open arms after asking for help. They quickly find themselves surrounded by a group of phantoms, minions and Riff Raff. Throughout the night they enter a world of ecstasy that they never have known before. With the help of a couple of the doctor’s assistants they make their way out of the castle as two completely altered people. Rocky Horror is the fourth show of the Gateway Players 42nd season, directed by Bill Guy and produced by Barbara Day. The cast consists of Kionna Hazzard (Janet), Edward Lindem (Brad), Patrick Lynch (Narrator), William Bolster (Riff Raff), Robyn Spain (Magenta), Cate Boram (Columbia), Shane Cordray (Dr. Frank N. Furter), Michael Swanson (Rocky), Jeffrey Coggins (Eddie/Dr.Scott), Courtney Gallipeau, Layla Gallipeau, Chelsey O’Connor, and Miranda Snyder as Minions, with Charles Alan, Luis Aviles, Claire Bertrand, and Lynn Boucher as Phantoms. Cordray’s performance of the doctor was overall the highlight of the show. He brought to life a character that which not many can do in a believable manner. Bolster as Riff Raff sure kept the audience in stitches and Spain’s vocal pipes swept you off your feet. The overall performance was done very well and gave audience members a taste of something a little out of the box for the Gateway Players. 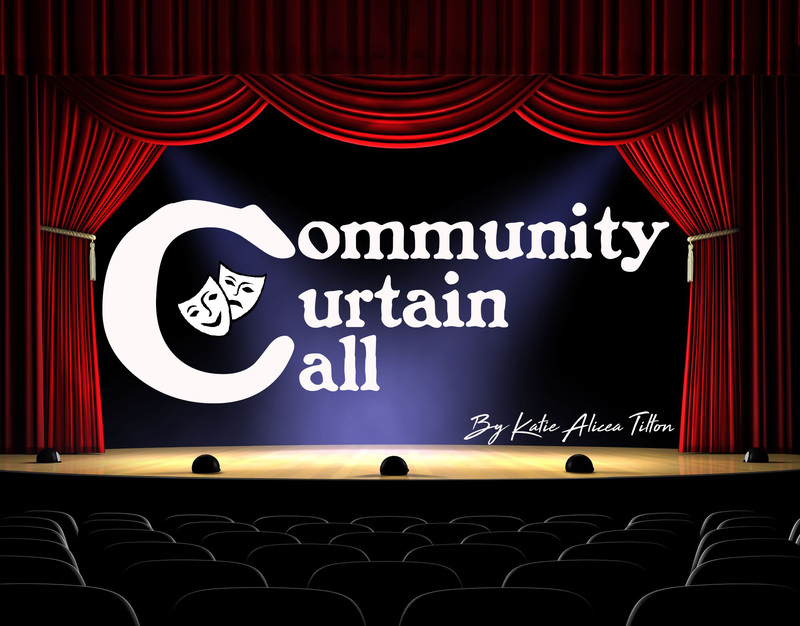 If you want a night of silliness and laughter please take advantage of catching one of the remaining shows — Saturday, August 18 at 7:30 p.m. and 10 p.m. or Sunday, August 19 at 2 p.m. at The Cannery, 12 Crane Street in Southbridge.